Customers were evacuated from a Vodafone store in Canberra, Australia on Wednesday after a demo iPad unit exploded, reports News.com.au. 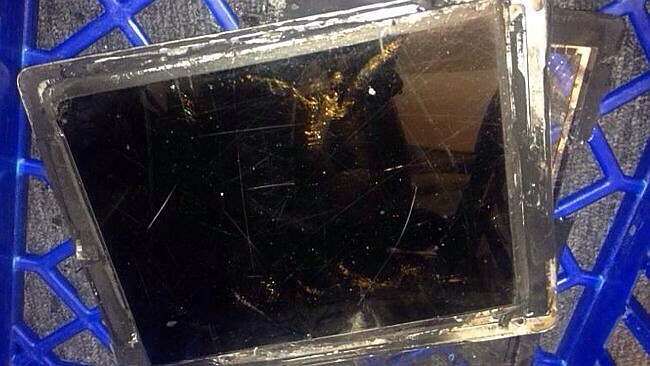 "A burst of flames" appeared from the charging port of an iPad demo model, a Vodafone spokesperson confirmed to news.com.au. The firebrigade was called in after the store filled with smoke and sparks continued to appear from the charging port. Vodafone confirmed that no staff or customers were injured during the incident. Apple representatives reportedly visited the store on Wednesday to collect the device for testing; however, Apple has refused to comment on the incident. There have been other incidents of the iPhone exploding; however, they have been attributed to third party chargers or damaged devices.